Sleep did not happen this week. I’m actually ok with this. When you have the privilege of little people in your life, sometimes sleepless nights (or weeks) are going happen. Usually a good night’s sleep is traded for quiet midnight cuddles with someone who just needs to know that all is ok in the world. I’m prepared to pay that price. I’ve even written about how getting up at night is something I’ll miss later down the track. The thing about sleep deprivation is that it fuddles the brain. On three separate occasions this week, I’ve been recounting something that happened and suddenly I wasn’t sure if it happened in a dream or in reality. I’ve heard people talk of experiencing this before, but it had never happened to me. In some ways it’s terrifying. A slowly slipping sanity. In other ways it’s kind of great. Getting closer to nonsense puts me in touch with a childishness that delights in silliness and play. 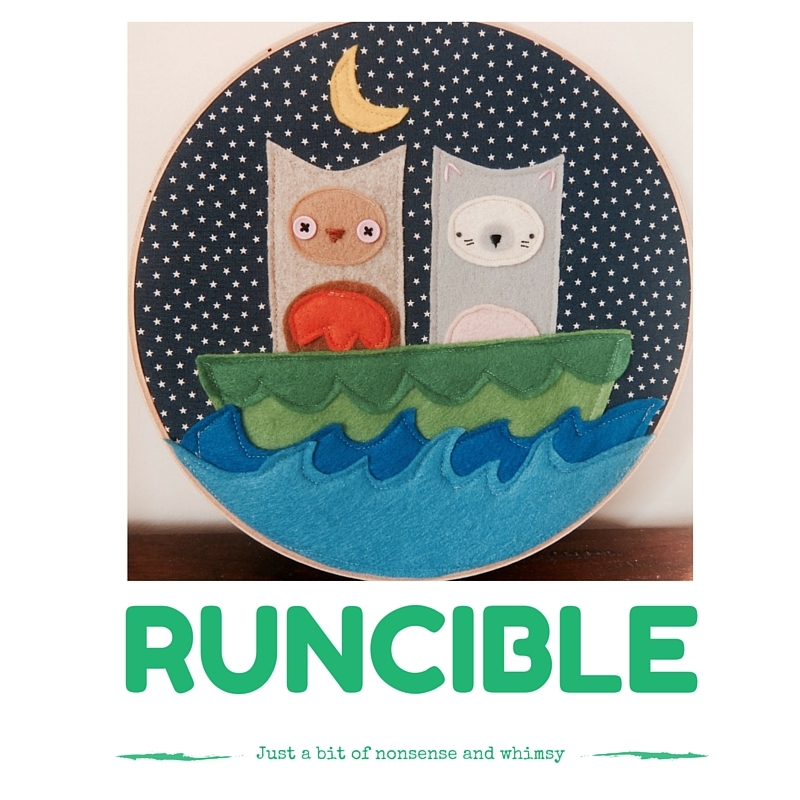 So, Pickles and Pords and I have been eating with runcible spoons. Dancing with madness. Laughing at all things ridiculous. And when I got so tired that I had to lie down on the floor and close my eyes, Pickles covered me with a blanket, kissed me on the head, and read me “Good Night, Sleep Tight”. It made me want to be sleepless evermore. I can’t tell you how many times I fell asleep on the floor next to my two. My most memorable sleeping place was in the bathroom, actually leaning on the side of the bath! It’s hard work sometimes isn’t it, but it does pass and every parent will no doubt recognise the sleep deprived madness. Hard but wonderful 🙂 Always nice to be reassured that the sleep deprivation passes, although no doubt every stage has its challenges and rewards! You normally read about the negativity of sleep deprivation but this is a different viewpoint and I love it! There were times when I wouldn’t know how I made it home from playgroup because I was so tired, I must’ve been in a daze, or played ‘Hospitals’ and I was the patient and quietly dozed off whilst the children wrapped me in bandages!